First things first: I am not an expert nor a veteran in all things concerning the blogging scene. In fact, I am just like you, struggling every day to do better, to learn more, and be better. But after years of blogging, I've had my fair share of experiences and learnings that I really want to impart to you, my dear readers because I want to help out if any of you might want to make a blog of your own. Go to the Blogger website and click on the "Create your Blog" button. Sign up using your google mail and then create a profile for Blogger. You are then lead to your Blogger Dashboard wherein you will see a "New Blog" button. 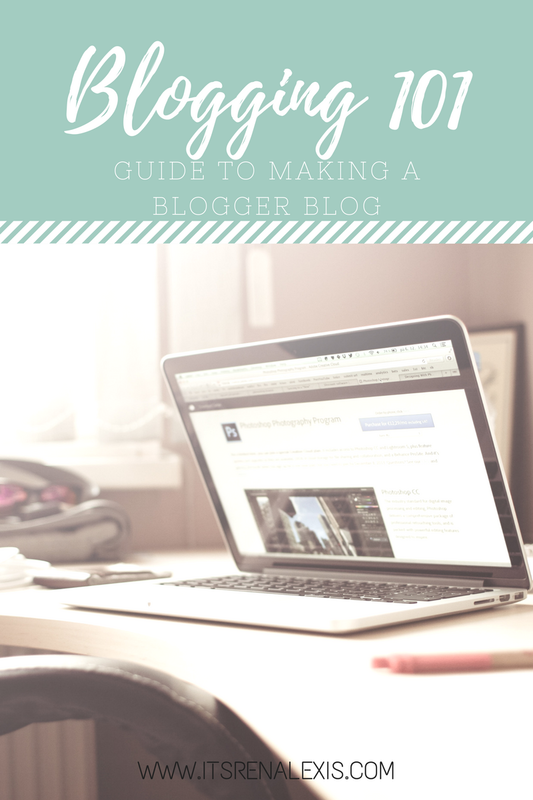 Click it to create your blog and fill up the necessary details. Did I ever tell you that my blog name used to be "Living in Random Thoughts"? It was my brand when I was still on Tumblr and it was really perfect for what I used to post. I've grown a lot since my diary-writing era and I just love learning new things day by day. Okay, so much for that, haha! 3. Check the availability of your desired domain name and buy it! While it isn't really essential, believe me when I say that having your own domain name is important, because it is! Having your own .com legitimizes you as a blogger, it would mean that you are serious about it and you are willing to invest in things to improve your site. I don't know about you but I've never felt happier when I purchased mine last August. Purchasing my own domain was a blogger achievement I've been wanting to reach since I started! Before I made the decision to move to Blogger, I brainstormed on what possible topics I should be writing about on this new platform. What will be my pitch? What will be the things that I would be talking about for the next months to come that wouldn't bore the stuff out of those who would read it? Once, I thought that I'd make my blog solely for books, or that it would be all for travel. But then, that idea didn't really work out because what I wanted my blog to be was for it to be a means of release of all the things that are running in my mind. I wanted it to be an outlet of my "creative" thinking. I wanted it to contain all my life's adventures. So now, it contains bits and pieces of me, of my love for books, and of my dreams to travel. And so, my blog is what it is right now. And even if it doesn't fit into any niches, I'm fine with it because everyone can create something unique, and I'd like to think I did. And I'm very proud of it. Blogging is a way to express yourself, so how your blog looks like will reflect on your personality. It also is the first thing that people will see when they go to your site so it seals their first impression of you and your blog. When I first made an account on Blogger (and that was way 2010), I didn't know how to use it. And compared to Tumblr, Blogger was ugly and confusing to use. I didn't like how it looked like and that is why I stuck with Tumblr because Tumblr was so customizable and I love customizing my blog to my liking. The codes were easier to understand and tweak, and I could make my blog look really pretty. 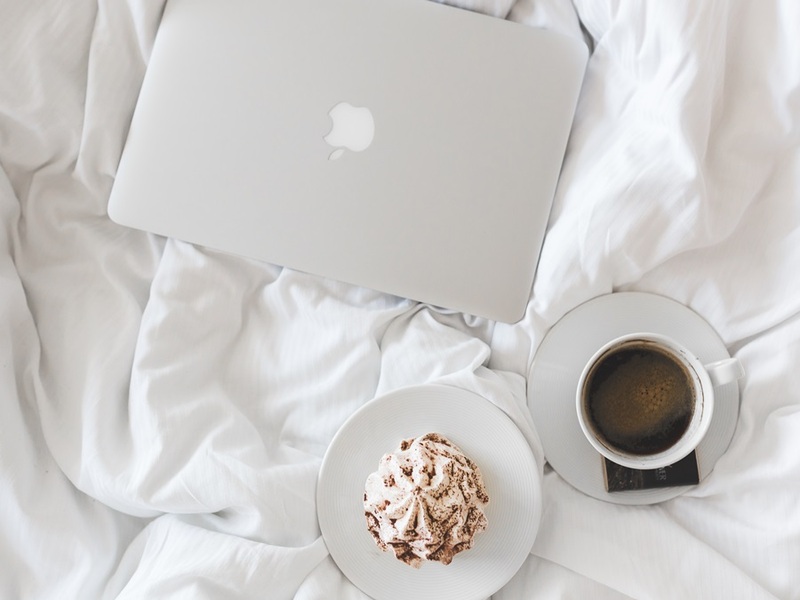 This year, though, I was determined to move so I rekindled my "relationship" with Blogger and with the help of Google and a little bit of Youtube, I discovered a lot of quirks I didn't know Blogger has. Now, I am in love with it and I am contented to be using it, at least for now. With all the free templates you can find, you won't have any trouble choosing one to your liking. There are also Premium Themes you could buy if you cannot find a free one that's good enough for you (like what I did). Here are some sites where you could find free ones: Sora Templates, ThemeXpose, Gooyabi Templates, etc. Keep your blog as clean and as well-organized as you can. Your sidebar can have absolutely everything you want, just do not overdo it. Nobody likes a cluttered sidebar. Nobody wants messy ads all over your page. Nobody wants annoying pop-ups appearing every 30 seconds! But I'm not saying you shouldn't put any ads, you can if you want to, just keep them at the minimum. So maybe a little bit of an introduction to your blog, some of your social media links, a search bar, and some other stuff like Categories and a subscription box (maybe?) would be pretty enough on your sidebar for your new blog. 8. Do a test run. Finally, you are ready to launch your new site! Think of a great first blog entry, write it, proofread it, publish it, and be proud of yourself because you are now officially a blogger. Doesn't that sound grand? ^_^ Welcome to the blogging community! 10. Love what you do!